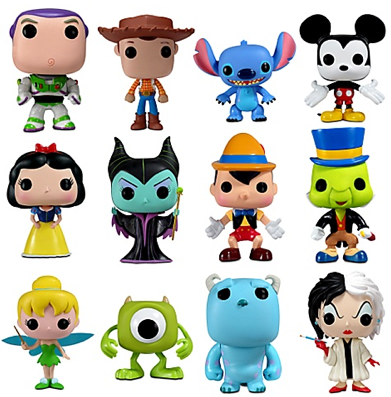 Earlier this week, Disney released a new series of Vinyl toys called Pop! Vinyl. 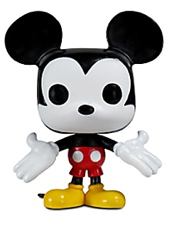 These are not to be confused with our beloved Vinylmation, but they are along the same family lines that Vinylmation came from. The main thing to note about this set is that all the characters take their own form. It is not like Vinylmation where they all have to be painted onto one (for now) canvas shape. It is a 12 figure open window set with a ton of great characters. 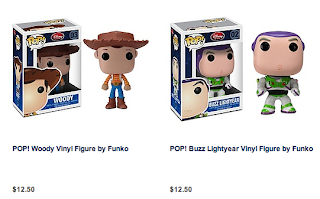 Pop Vinyl are only available at Disney Stores and the Disney Store Online. They retail for $12.50. Each figure is listed at 3 3/4 inches tall, just a Jiminy Cricket top hat taller than Vinylmation. Although Stitch and Mike look a little shorter than the other ten. Check out more details and a review after the jump. Overall, I really like the Pop! Vinyl collection. The colors are vibrant, the clothing details are wonderful and they just have a fun classic yet modern look to them. I really enjoy the caricature type design of each classic animated film star. The idea is a bit like Pook-A-Looz. 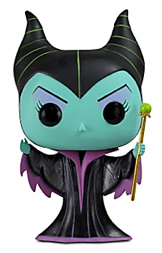 Maleficent is my favorite figure. 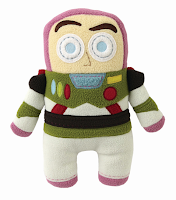 She made a great 9″ Vinylmation, and this vinyl doesn’t disappoint either. Her face and horns are brilliant. Her clothing also takes nice form and the colors are vibrant. 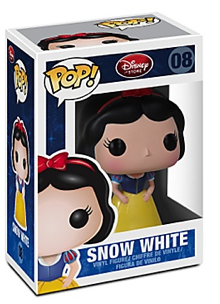 Snow White is another favorite out of this set. 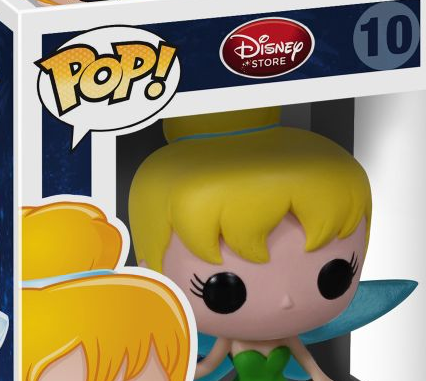 The big rounded face and huge bug eyes really tell the story of this cute princess. I can almost hear her sweat voice singing to me. On the flip side, I don’t like the Mickey Mouse design. The face looks very vacant. The welcoming open arms are a cool feature, but the overall look is a bit blah. What do you think about Pop! Vinyl? Will these make it into your Disney collection? Check out my review on Mike from Series 1!